In 2010, at 91, architect and Arcosanti founder Paolo Soleri saw the opening of the Soleri Bridge in Scottsdale, Arizona. The cable-stay pedestrian crossing was the culmination of 60 years of bridge sketches and drawings. 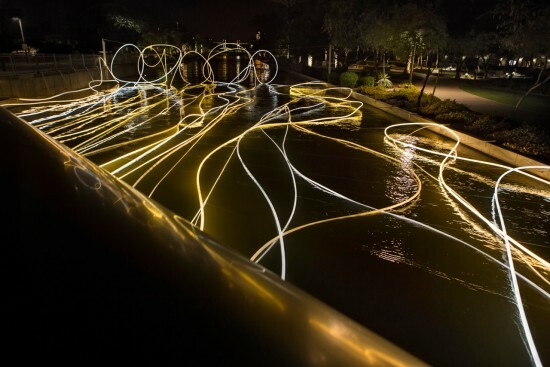 Peruvian artist Grimanesa Amorós continues Soleri’s dedication to experimentation with Golden Waters, an art installation extending from the bridge into the Arizona canal. Commissioned by Scottsdale Public Art, Amorós’ light sculpture is suspended from the 130-foot-long span and resembles sketched lines hovering over the surface of the water. The light ribbons are made out of LEDs, custom electrical hardware, and diffusive material. Each is held in place by a cable suspension system and steel structure. 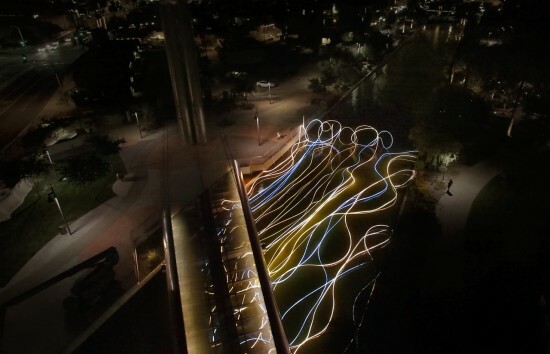 The armature, which allows the piece to extend 164 feet and rise 25 feet above the surface, seems to vanish at night when the artwork is illuminated. 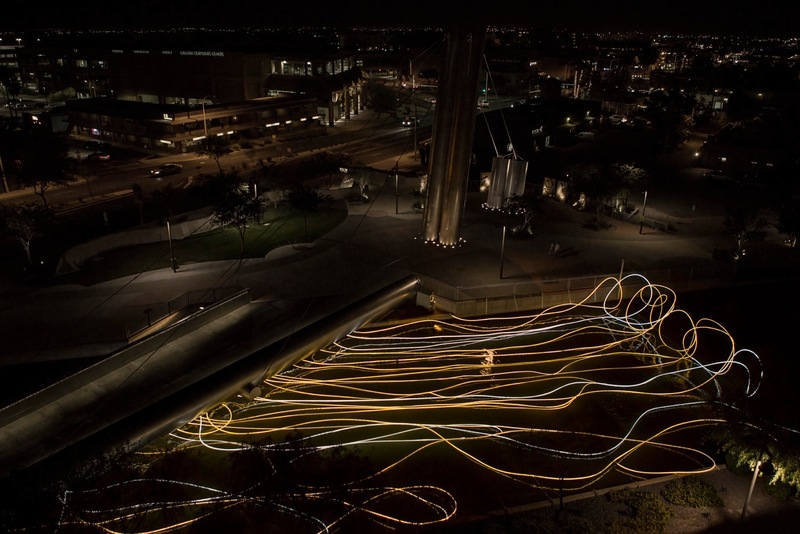 Amorós’ artworks often blend technology with social history, scientific research, and an organic approach to any given site. In 2011, she presented a lighting sculpture inspired by the pre-Incan Uros tribe at the Frank Gehry–designed flagship of Issey Miyake. In Scottsdale, Golden Waters is meant to evoke both local history and express the interplay between urban and natural elements. 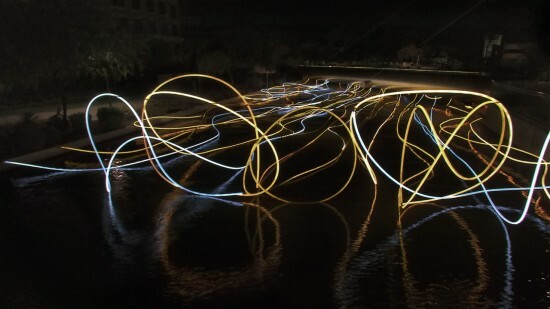 Golden Waters will be on view in Scottsdale, Arizona through September 30, 2015.